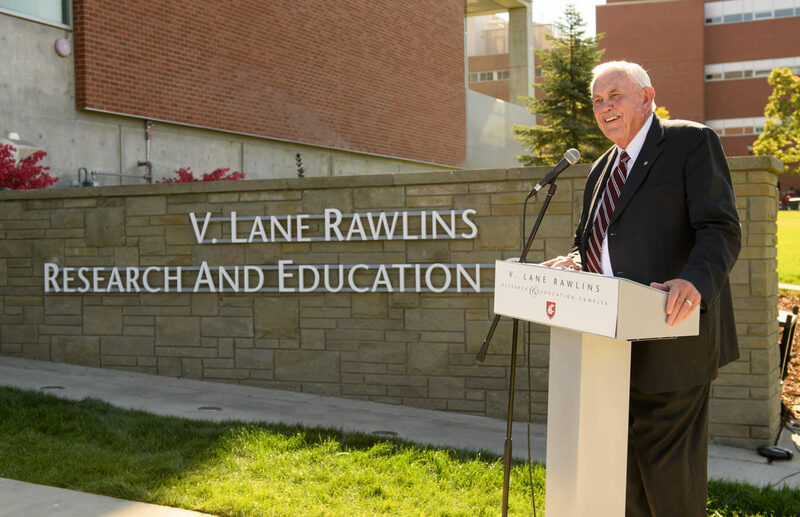 Washington State University President Kirk Schulz and the WSU Board of Regents honored the legacy of WSU’s ninth president V. Lane Rawlins in a ceremonial unveiling of the V. Lane Rawlins Research and Education Complex. 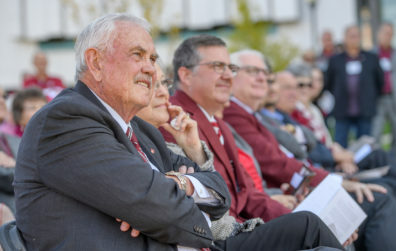 Friday’s event at the Complex included past student leaders, as well hundreds of current and former WSU staff, faculty and alumni. The complex promotes collaborative and interdisciplinary life sciences research regardless of department or college. Currently, the complex consists of the ﬁrst three of six interconnected life science research buildings: Vogel Plant Sciences, Biotechnology and Life Sciences, and Veterinary and Biomedical Research.